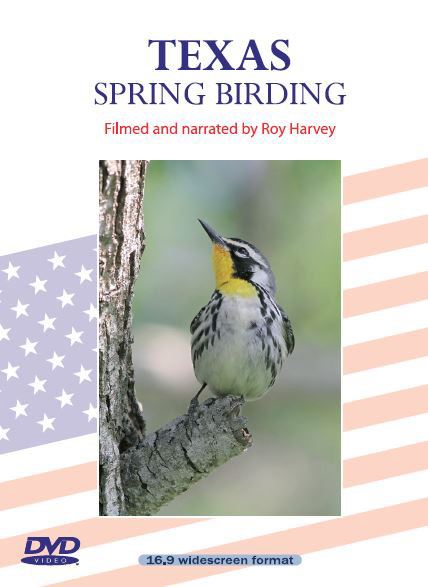 This DVD is a video diary of a birding trip to Texas in the period April 10th - 24th. Arrangements were by Ribble Bird Tours of Blackpool and the participants were Dennis Atherton, Ian & Christina Barber, Paul & Denise Bebbington, Roy & Linda Harvey, David Hindle and Paul Lewis. The tour leader was Stuart Meredith. The group flew from Manchester to Houston and then spent 3 nights at Winnie, 2 nights at Port Aransas, 2 nights at San Benito, 2 nights at Edinburg, 1 night at Rio Grande City, then returned to Winnie, near High Island, for the last 3 nights. Sites included: High Island, Port Aransas, Bentson, Santa Ana, South Padre Island etc. Filmed and narrated by Roy Harvey. Running time approx. 182 minutes. Note that this production is in the 16.9 widescreen format.